1. Jack and Jill build an indeterminate time machine. 2. Madalyn Walker returns from fairy land, 3 times. 3. Nine people search for a reason to hold them down to Earth. 4. Illia struggles to direct from within a human body. 5. Two burn to death; one burns others. 6. King Santino unleashes his powers of cut-to. 7. A magic-free world questions its devotion to fairy tale rules. 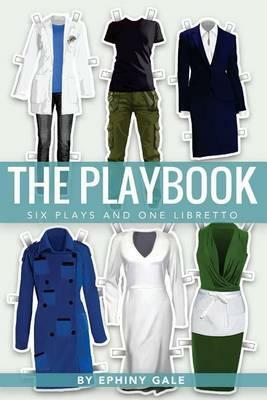 Full of speculative tales, queer ladies, and dark, lush storytelling, The Playbook showcases some of Gale’s best stage scripts, including: St Martin’s National Playwriting Competition finalist Time Scraps; How to Direct from Inside, which enjoyed a sold-out original season at La Mama; and Shining Armour, Gale’s most popular musical, which premiered at the famous The 1812 Theatre.